In some twenty years from now, any visitor to Earth would be amazed by the transformation that he would find in every aspect of our lives. The best of the past will have been preserved but a new and vigorous beauty will prevail everywhere, and a new relationship will have been established between people and the environment in which they live. Gone for ever will be the slums and hovels in which millions today eke out a ‘living’. A new pride in ‘Man’ will generate an equal concern for men’s leisure and social activities, and lead gradually to a new understanding of man’s essential needs. New technology will free countless millions from the drudgery of repetitive work; the demand for knowledge in every field will open wide the doors of colleges, factories and farms alike, and a new enthusiasm for learning will manifest throughout the world. Thus will men understand better the underlying purposes of our incarnational experiences and so will grow the needed control of our physical, astral and mental equipment. This will lead men to the door of Initiation and thus to perfectionment. Thus will men return anew to the age-old Path to Perfection and, freed from the glamours and errors of the past, tread once more the way of sacrifice, of renunciation of all that hinders the highest understanding and light. Man has strayed far from this simple path, sidetracked by a gross materialism which has lured him to the very edge of disaster. But, as men will find, their eternal divinity has, once more, asserted itself and drawn man back from the brink. A growing number of people, everywhere, are beginning to sense this to be true, and to awaken to the task of transformation. In this way, they find their own sense of responsibility enhanced, and respond accordingly. Thus are the workers of the future found and thus too does the world change for the better. Quietly as yet, but steadily, does Maitreya work to potentize this process. His beneficent energies act like yeast to raise the aspiration and strengthen the resolve of all who can respond. These are many, and so is built a great army of workers in the light, the light that will transform the world and ensure the future for all men. A. Twenty-four (13 September 2010). A. My Master has said that it has been somewhat better than was expected. He makes people think, and they have thought deeply about what He says. He says it in a very quiet way, without flamboyance, without any unnecessary display. They see Him as an ordinary man. He does not want to frighten off the very people He wants to help…. Q. Floods, droughts, fires, mud-slides, volcanoes – the upheaval and destruction in the world today – seem to have reached a new high level. Is this true? And is it all due to the karma of the particular country involved? A. Humanity is going through a period of great stress and disequilibrium. The devas who control the forces of the environment are forced out of equilibrium, hence the upheaval and destruction. Some of this destruction does indeed result from karma of particular countries. Q. Brazil is preparing to build a huge hydro-electric dam in an area of the Amazon; its construction will cost indigenous people their homes and their environment. A large area of the forest will be irreparably destroyed. Our planet is dependent on rainforests; would this be a case where the Masters could intervene to save the forests? A. No, that would be an infringement of humanity’s freewill and would never happen. It is really a case for a decision by the United Nations. Brazil is enormous and there are surely less destructive areas for such a dam. Q. Indian activists have just succeeded in preventing the building of a large dam on the River Ganges; were the activists right to fight against a scheme which would, after all, bring them many benefits? A. Yes. It is a question of weighing the benefits against the destruction. Q. Certain countries are determined to stop immigration and to that end they build walls to keep would-be illegal immigrants from entering, or they round up and deport people already settled. It is just over 20 years ago that the Berlin Wall came down thanks to people power. What can be done to prevent governments from building separation walls and/or deporting people in large numbers? A. By the same method: people power! Q. If people have ideals but do not act on them what can be done to rid us of complacency which humanity seems to suffer from? A. Indeed. Complacency is the disease…. The answer to the economic problem is the redistribution of the resources of the world. This would create universal justice and, therefore, peace. It is the only way to peace. Q. Can spaceships be shot down by our weapons? Do spaceships ever crash? A. Spaceships cannot be shot down by our weapons because each ship has around it a magnetic field which rejects every weapon; it can put weapons off course. The spaceships are impenetrable. They are literally invulnerable; however, several times in the past the Space People have sacrificed themselves in a simulated crash of their vehicle such as the Roswell incident…. A. Terrorism, according to the Masters, is basically the result of injustice…. Terrorism is becoming more and more sophisticated. You cannot fight it by war because you do not know where it is coming from – it could come out of any country in the world. 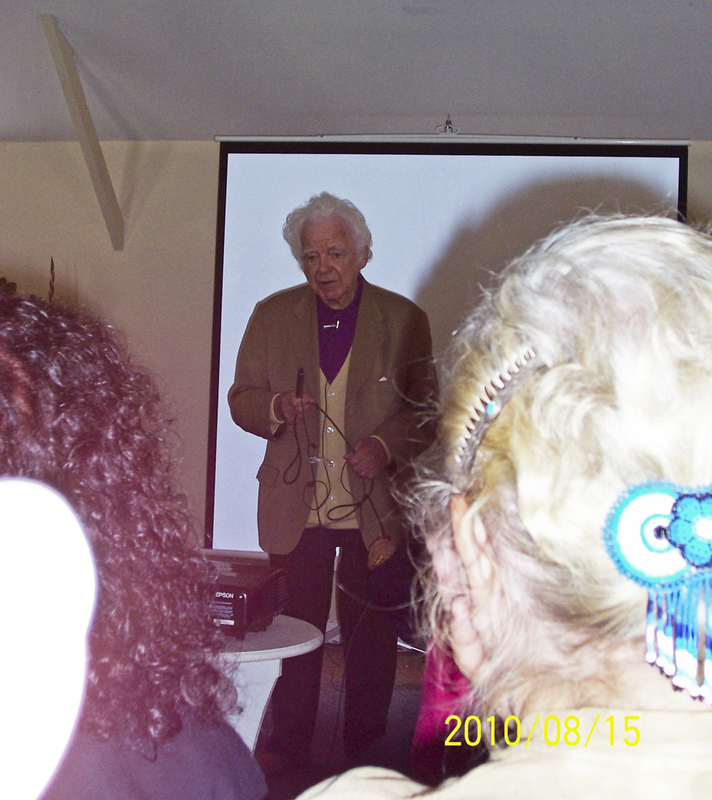 On 7 and 8 August 2010 I was at the Exopolitics UFO Conference in Leeds, UK, to promote my book about George Adamski, sharing my stall with local co-workers to promote Benjamin Creme’s new book, The Gathering of the Forces of Light – UFOs and their Spiritual Mission. Saturday afternoon, at around 3.30pm, while most of the conference attendees were in the auditorium listening to a talk, there were only some vendors in the hall where the stalls were set up, including myself and two members of the Leeds group. I was sitting with my back towards the entrance hall so I couldn’t see if people were coming in or not. Nonetheless, when I heard someone had just arrived, it felt like he had appeared out of nowhere. A middle-aged man, about six-foot tall, made his presence known loud and clear as he walked by, in between our stall and the one opposite us. He sat down on the empty chair on the other side of the stall from me as if the chair had been placed there for him, leaning his right arm on his cane, exclaiming with the grandest smile on his face: “I’m late!” as if we were the audience who had been waiting for him. He explained that he had had difficulty getting to the venue. He then proceeded to talk about some of his experiences…. Was this joyful conference-goer, who didn’t go to the conference, someone special? On five separate occasions between the beginning of July and late August 2010, I saw a bright white glowing object passing over the house and garden where I live, lower than most planes and moving perfectly silently and peacefully in a straight line. It was always bright white, spherical, and travelling in roughly the same trajectory (towards east London, where it seemed to descend as if to land) and at roughly the same time (around 10pm). On the third sighting only, however, while standing in the garden with my friend, it was glowing bright orange until it became opaque all of a sudden with glowing red colour in the middle. 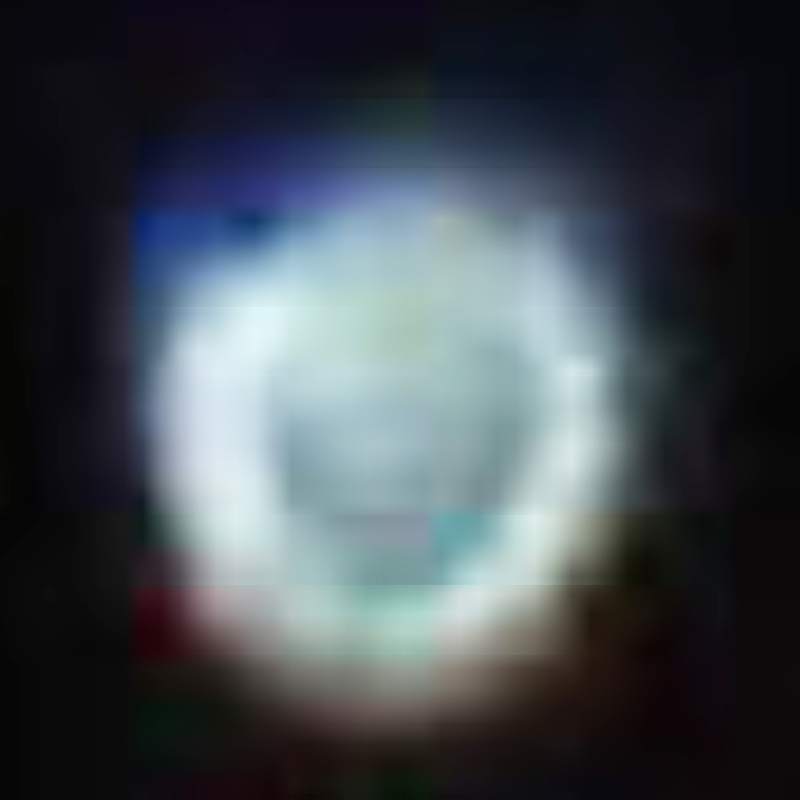 At the end of August, whilst sitting alone in the garden and contemplating Maitreya’s emergence, I saw the same white spherical object on two consecutive nights. I felt sure that it was Maitreya’s Lightship each time; could you confirm if this was indeed the case? A.W.P., Stoke Newington, London, UK. On Tuesday evening, 10 August 2010, after a public Transmission Meditation, I was driving home and was waiting in a group of four lanes of cars at a red light. Due to the drizzle, visibility was poor. I could barely see a man weaving among the lanes of cars holding a small sign made of torn cardboard. This is a common sight at this particular intersection as many homeless people gather there. Very shortly, as the light changed and the traffic began to move, I had the thought to look to my right. The man with the sign was looking directly into my car, pointing to his sign with a big smile and shouting: “Keep smiling, keep smiling.” It seemed quite an enthusiastic response for a $1 bill and the joy of the experience has stayed with me. During the 24 hour Transmission Meditation on 11/12 April 2009 in Mennorode Conference Centre in Elspeet, the Netherlands, in the small hours of Sunday morning, there were very few people meditating and it felt awkward to leave. About 3.30am the door opened and in the light of the EXIT sign above the door a slender, tall man appeared, wearing a green sweater and a backpack. He sat down and began transmitting. Did someone special join the Transmission Meditation? 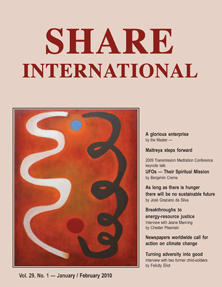 This is a selection of this month’s reports in Share International. Ski, Norway – On 31 August 2010 TV2 News Channel showed a “mysterious ball of light” in the sky filmed by Mohammed Ibrahim the previous night. 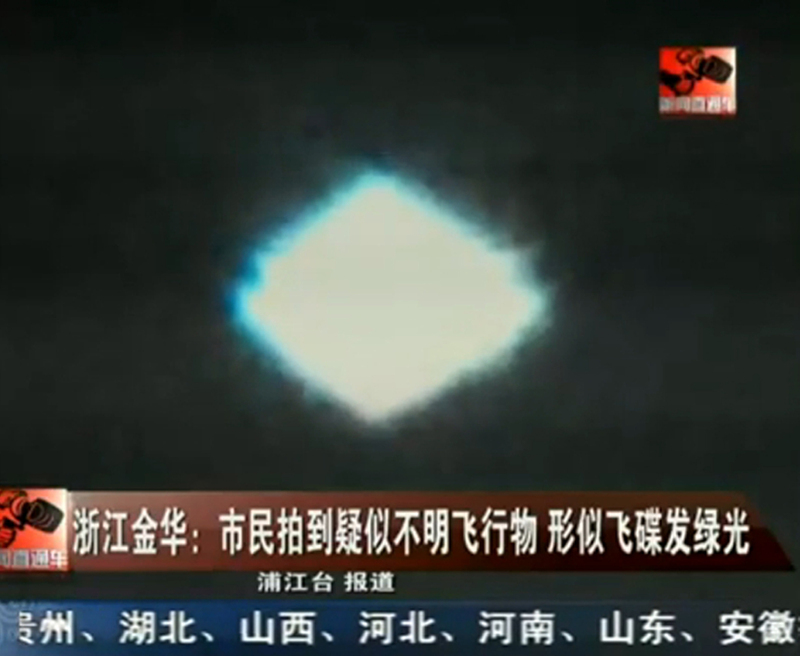 It remained in the sky from 8.15pm to 4.30am. “I could see with my naked eye how it pulsated, changed colour and moved,” Ibrahim said. “The thought hit me as I observed it” that it was a UFO. Maitreya’s ‘star’ as seen in Cucuta, Colombia. Cucuta, Colombia – A national news programme called Caracol Noticias reported a UFO sighting in early 2010 over the northeast city of Cucuta. Reporter Veronica Rincon interviewed three eyewitnesses. The diamond-shaped UFO appeared on five consecutive nights, between 8.30 and 9pm, remaining still in the sky for several minutes each time. 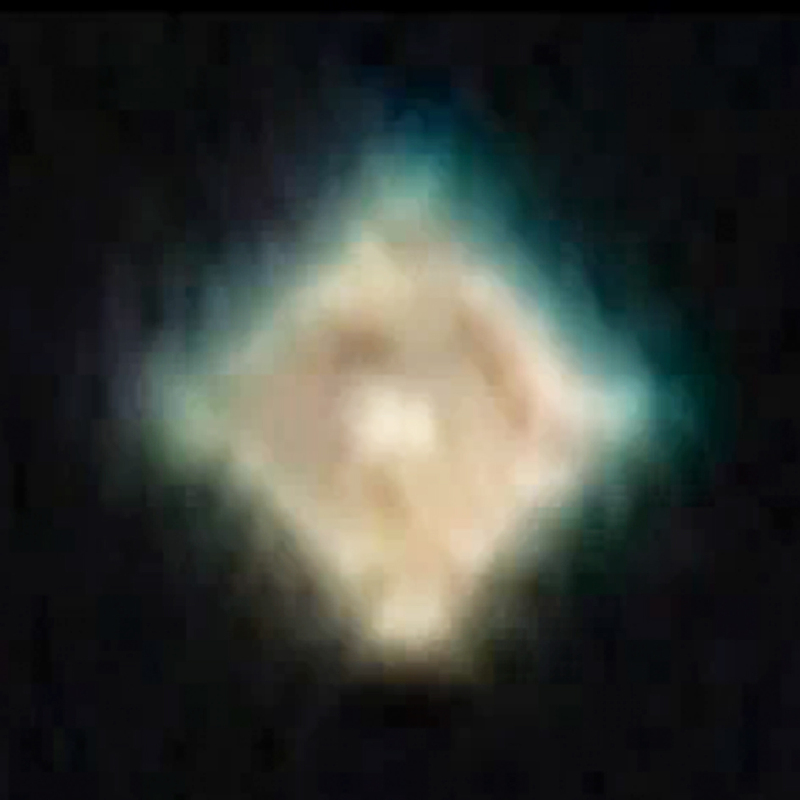 Yebrain Dussan, who captured the extraordinary footage said: “It was really two triangles stuck together. As I zoomed in you could see there were two triangles on top of each other with a black line between them. As time went on the intensity of the light it emitted seemed to get stronger.” Marisol Corte said: “I don’t really know what to say because it was something strange. I felt in awe of this big, impressive looking object just hanging in the sky.” Fernando Duarte, the third witness, said that at first they did not give it much attention, but as it kept on appearing they could see that it was something ‘real’. Maitreya’s ‘star’, photographed by Essex resident Malcolm Harvey in the sky near Stansted Airport in early August 2010. Stansted, England – Essex resident Malcolm Harvey and his 16-year-old son witnessed an orange light in the sky near Stansted Airport in early August 2010, a month after a former police officer reported seeing an orange UFO in the same area. These photographs, sent by O. S., show the rapid colour changes of Maitreya’s ‘star’ seen over Berlin, Germany on 9 March 2010. Dubai – On Sunday 4 July 2010 about 8 o’clock in the evening P.M. was watching an Arabian show when a bright star caught his attention. “It looked much brighter than Venus as I know it and assume it might be Maitreya’s ‘star’. Can your Master confirm my presumption?” he asks. 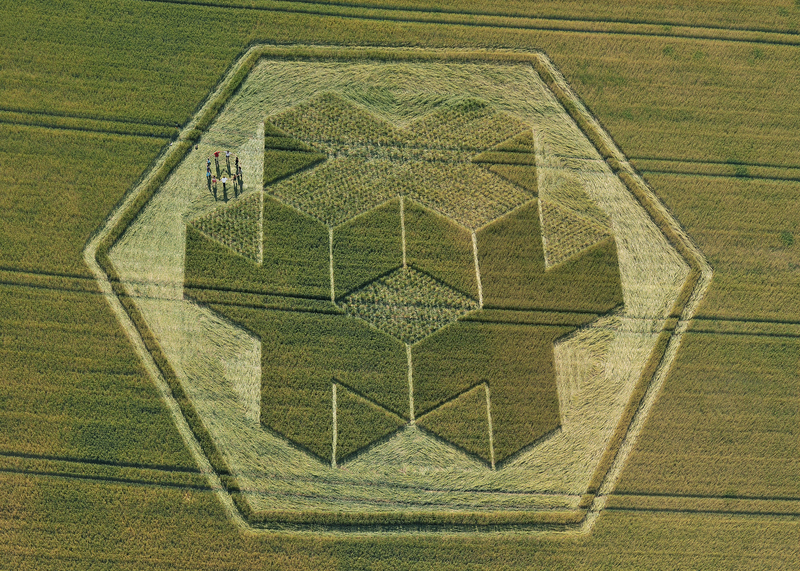 British crop circle researcher Michael Glickman has written extensively about the phenomenon, including a book entitled Crop Circles: The Bones of God. Glickman, a professor of architecture with engineering expertise, has spent 17 years investigating crop circles. Asked if artists were making them Glickman replied: “I don’t know what is going on, but crop circles have been recorded in more than 50 countries over the last 25 years. There have been something of the order of 6,000 events, and the elaboration and precision and beauty is simply breathtaking. If there is this team of artists, they are amazing, because they produce a level of innovation and inventiveness each year which surpasses the previous season and they are also enormously secret and enormously gifted … Whenever there is a truly man-made formation, a hoax, whenever one is commissioned for an advertising campaign, for instance, they are so crummy it is unbelievable!… I have been an architect, worked in engineering and also special effects, and product development. I used to pride myself on thinking I knew how everything on the surface of the planet was made.” Glickman added that the crop circles are so exquisite and painstakingly precise, and made in seconds in absolute silence, that it is “unthinkable it is done by humans”. 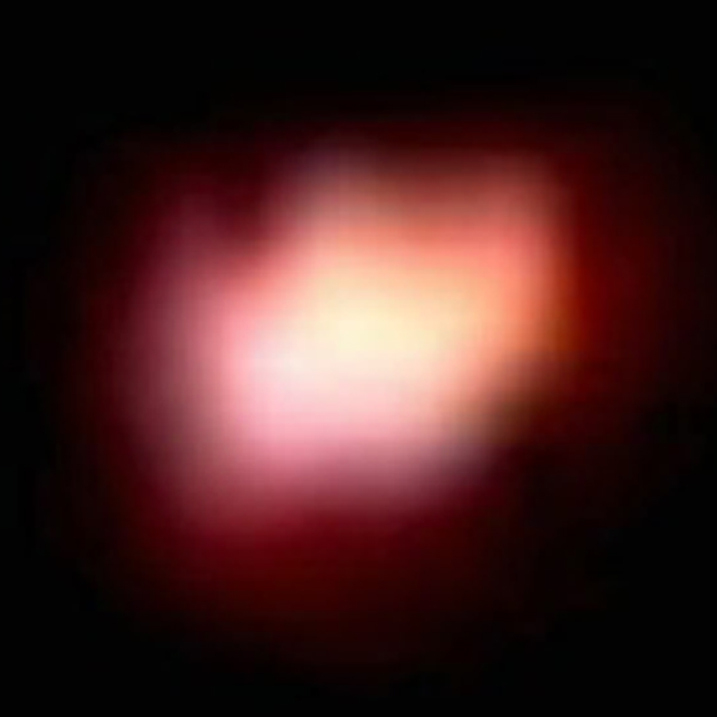 Three very large, bright UFOs were seen and filmed over Amsterdam West, the Netherlands, on 13 September at about 10pm. Amsterdam West is the location of the Meervaart Theatre where Benjamin Creme’s public lecture was held on Wednesday 22 September 2010. It has been confirmed that the spacecrafts were from Mars and that their sighting in the vicinity of the venue where Mr Creme will be speaking was not coincidental. Taken at a talk by Benjamin Creme at the Share International US Conference in San Francisco, USA, on 15 August 2010, this photograph shows, in the left corner, a blessing from Maitreya. At the same time Mr Creme was being overshadowed by Maitreya. 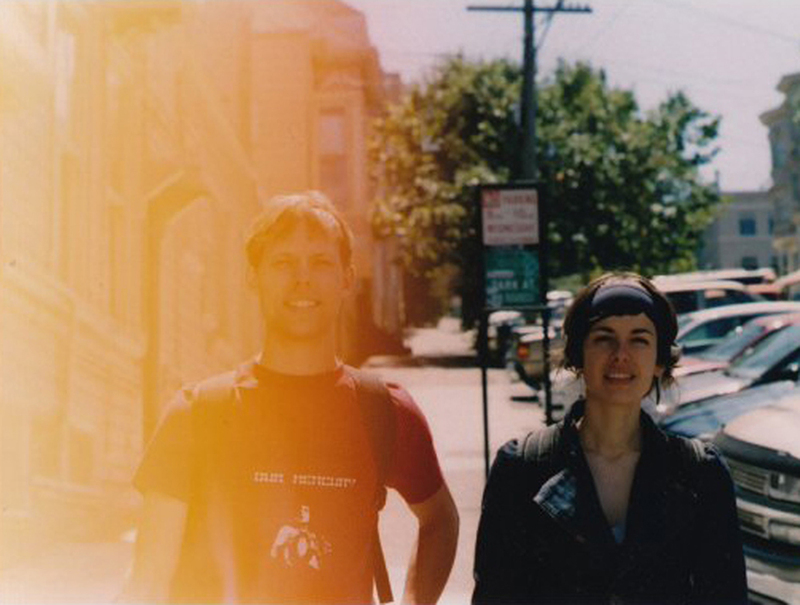 Sent by A. S.
Taken in San Francisco after the US Transmission Meditation Conference in August 2006, this photograph shows J. Y. from Edmonton and D. S. from Montreal, Canada. A light blessing on the photograph is from the Master Jesus. Muhammad Yunus has made a tremendous impact on the world since 1976 by creating and developing the idea of microcredit – making small loans to the poor, especially women, which enable them to lift themselves out of poverty through their own efforts. In fact, together with the bank he founded, Grameen Bank, he was awarded the 2006 Nobel Prize for this work, described beautifully in his book, Banker to the Poor. Microcredit as an approach to relieving poverty has now spread around the world, and microcredit programs are widely offered not only by banks but other organizations as well. Meanwhile, Yunus’ efforts to find and implement new ways to end poverty have also expanded. In his latest book, Building Social Business, he presents a much broader concept – a new form of capitalism that could fundamentally change our economic system and potentially have a dramatic impact on society. In order to correct this flaw in our economic theory and the resulting social and environmental problems it creates, Yunus posits that we need two different kinds of businesses: one whose purpose is personal gain, and another that is completely dedicated to helping others. The latter he calls ‘Social Business’, like some, which he defines as a company dedicated entirely to achieving a social goal by using business methods, including the creation and sale of products or services. There are two types of social business. The first type is a non-loss, non-dividend company devoted to solving a social problem and owned by investors. That is, the company is designed to make a profit, but the investors do not take the profit; they can only retrieve their initial investment over a period of time, which they specify. All profits are reinvested in expanding and improving the business, so the goal of making personal profit is removed. The second type of social business is a profit-making company owned directly by poor people themselves – or indirectly through a trust dedicated to a pre-defined social cause. Because profits flowing to poor people are alleviating poverty, such a business would by definition be helping to solve a social problem. Grameen Bank, which is owned by the poor people who are its customers and depositors, is an example of this type. Muhammad Yunus: Building Social Business: The New Kind of Capitalism that Serves Humanity’s Most Pressing Needs. Public Affairs, 2010. ISBN: 978 1586488246. For the third year in a row, one of India’s most eminent scientists, Professor AD Agarwal, has carried out a “fast-unto-death” in protest against the 600 megawatt Loharinag Pala hydropower project in Uttarakhand, India. In 2009 project construction stopped after Professor Agarwal came close to death on the 38th day of his fast, only to resume a year later. The Loharinag Pala project is located on the Bhagirathi River, the source stream of the Ganges River. A large number of religious leaders protested against the proposed dam because the Ganges system is considered holy by the Hindus. Over 60 actors, playwrights and directors have signed a letter to Israel’s culture minister Limor Livnat refusing to take part in productions by six leading theatre companies at a new cultural centre in the West Bank settlement of Ariel. The letter states: “We want to express our dismay with the intention of the theatres’ managements to perform in the new auditorium in Ariel and hereby declare that we will refuse to perform in the city, as in any other settlement.” They also declare that the theatre companies should “pursue their prolific activity inside the sovereign territory of the state of Israel within the boundaries of the Green Line”. Israeli Prime Minister Binyamin Netanyahu said the country was under attack by the international community – including economic, academic and cultural boycotts – and “the last thing we need at this time … is a boycott from within”. A “high level meeting”, organized by the Spanish International Development Co-operation Agency (AECID) and international news agency Inter Press Service (IPS), was held in the context of the Foreign Ministry’s Spanish Co-operation Week between 6-11 September 2010 in Madrid. The theme of the meeting was ‘Post-Crisis World: Effects on developing countries and their media impact’. Uruguayan writer and journalist Eduardo Galeano rounded off the event with his speech, ‘Deadly sins of our upside down world’, which was streamed live in Madrid. The gathering was attended by personalities and journalists from countries of the South, and among its goals was debating the role of development aid in overcoming the global financial crisis. In a special guest lecture, Galeano referred to examples of absurd expenditures such as the Berlin Wall, built in 1961 to divide that German city in two and demolished in 1989. He also said the wall recently constructed by Morocco in the territory it occupies in Western Sahara “is 60 times bigger than the Berlin Wall”. Galeano also mentioned other walls, like the one built by the United States along its border with Mexico in an attempt to keep migrants out, Israel’s barrier in the West Bank, and Spain’s wall separating its enclaves in Ceuta and Melilla from Morocco. Archbishop Desmond Tutu, Nobel Peace Laureate, has been called “a symbol of love and forgiveness”, in spite of having witnessed the darkest side of humanity, especially during the Truth and Reconciliation hearings in South Africa.